As we travelled Australia on our mission to Transform Children’s Health, parents told us that packing lunches was stressful and that getting their kids to eat a healthy lunch was difficult. What if packing healthy lunches didn’t have to be stressful or difficult? The equipment you use to pack your child’s lunch can play a big role in how you feel about packing lunches and how your kids feel about eating it. 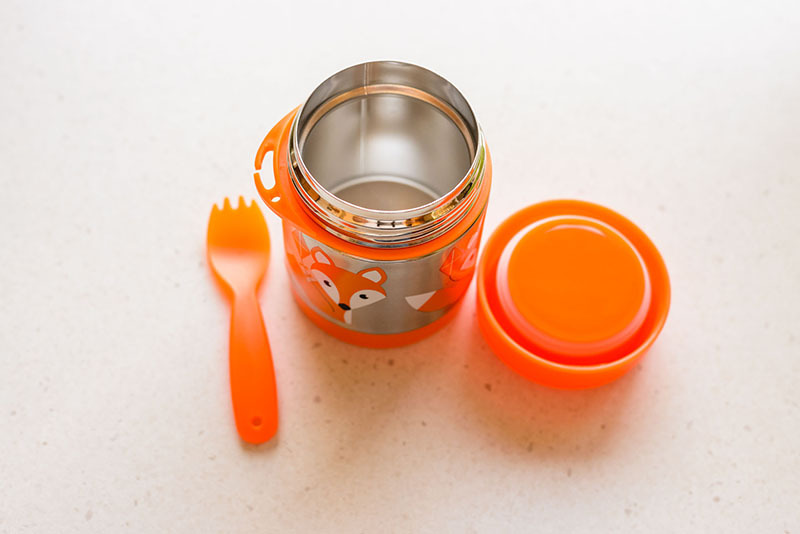 Below I share why one of the best investments you can make in your kids lunches and your sanity, is a good quality thermos that keeps food both hot and cold. We’ve been road testing a great new thermos / insulated food jar from My Family Kids Brand. You can read my product review below along with how to get 10% off your My Family Kids Brand Thermos. Up front I must tell you that we are not getting paid by My Family Kids Brand for this review, but they did provide us with this thermos to road test. Would I invest in a My Family Kids Brand Thermos myself? Absolutely 100% and I am happily recommending it to you. 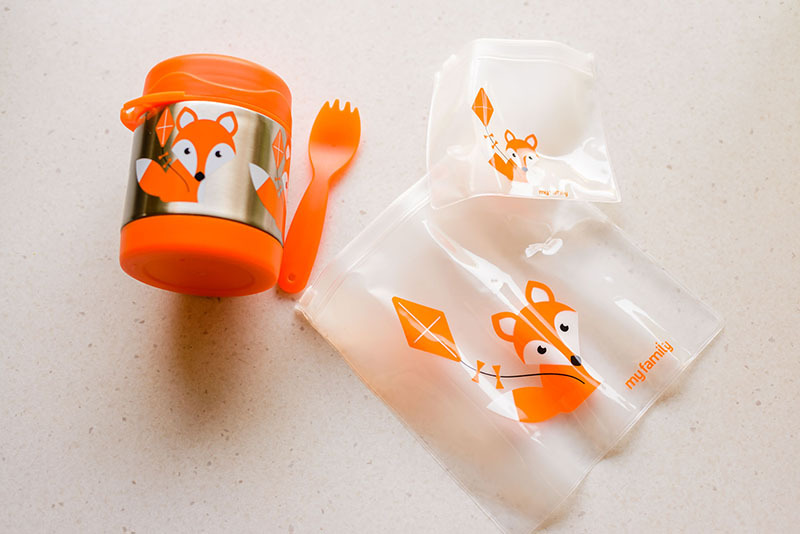 In fact, we’re so happy with this product, that we have agreed for My Family Kids Brand to give their customers a $50 off voucher for our lunchbox eCourse when they buy one their thermos. 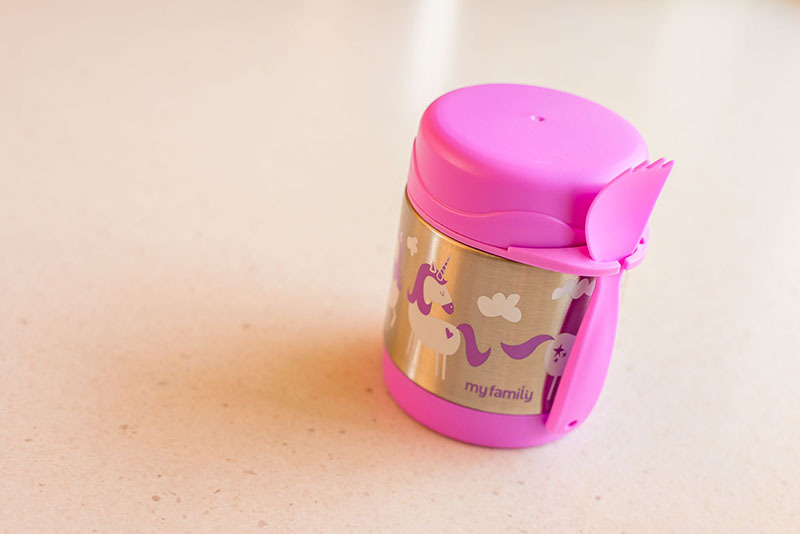 In this review, I am going to share why I like the My Family Kids Brand Thermos as a Mum. I also interviewed our kids about it too. Afterall, no matter how much I like a product, if the kids don’t like it, then it’s pointless. for hot food, boil the kettle and then pour the boiling water into the thermos and put the lid on. Let it sit in the thermos for 10 minutes whilst you heat the food. When the food is really hot, empty the water from the thermos, then put in your hot food and seal it immediately.